The Family Financial Challenge has come to an end. I have to say I really enjoyed the experience of logging everything down but that could be because I already log so much down in the month. Doing this challenge has made me rethink where we spend money and how much we spend. We have definitely changed our spending patterns and re-evaluated many purchases in the month. As far as the jars system I have figured out that it does not work for me and I am okay with that. What does work for me and hold me accountable is just logging my purchases in a journal as they are made. I keep a spot in my planner for doing this and it really does hold me accountable since always have my planner with me. And in case I don't have my planner with me I take a snap shot of the budget pages and have it on my phone which is ALWAYS with me so I can reference them where ever I am shopping. Another thing that doesn't work for me is the cash only system. It would work for me if they didn't get rid of the penny here in Canada but since they did by using cash only I could end up losing money in my purchases and that does not work for me. For my readers outside of Canada ... they eliminated our penny last year and as such they still have things come out to the exact penny but then round up or down depending on the store if your order comes to 4.57 you would pay 4.60 if paying cash but if you pay by debit you pay 4.57. Crazy right! So because of this I choose to pay both cash and debit depending on the situation. I will say this method is not for everyone but I am very conditioned to a budget so it works for me. I did realize that I need to pick up a Tim Hortons gift card every month for my husband's purchases to keep that on a budget every month. I really enjoyed finding the free family activities in my community. It opened up a whole new kind of searching and I also found some hidden activities I knew nothing about. This month we enjoyed games nights, movie nights, tobogganning and even just going to our local community centre for a walk. Our library does a movie night once a month as well as some of our local churches do movie nights every other month. Our movie theatre it also participating in Family Favourites on Saturday mornings at 11am - which means you can go to the movie for only $2.50 to see great movies. I have to say my favourite part of this challenge was the clothing challenge. I really enjoyed purging the clothes from my house and took it further and started to purge more than just the clothing. Other family members joined in and we were able to remove a lot of stuff from our home as a matter of fact I started cleaning up my daughters room this weekend and she is purging some of the things she no longer uses to free up space in her room. I am ending this challenge with some new tools in my financial tool belt to keep on using and realized that in the month I can still save and I thought that was near impossible as I do keep a tight budget already but I did save even though it was a small amount it is still saving. 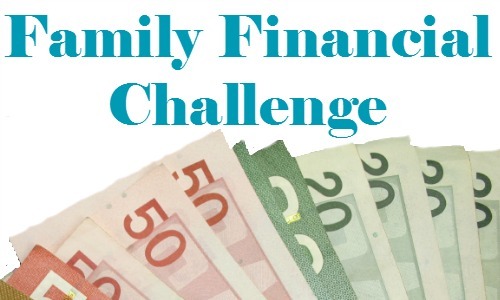 Did you do the Family Financial Challenge? If so how did you make out? 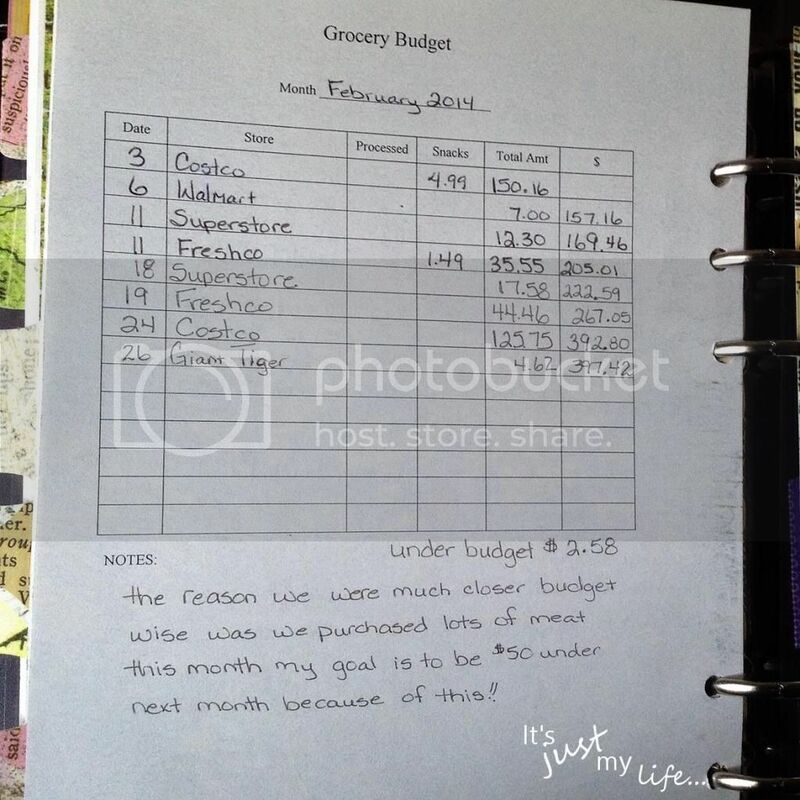 Do you keep a budget every month - did you stay on budget for February?